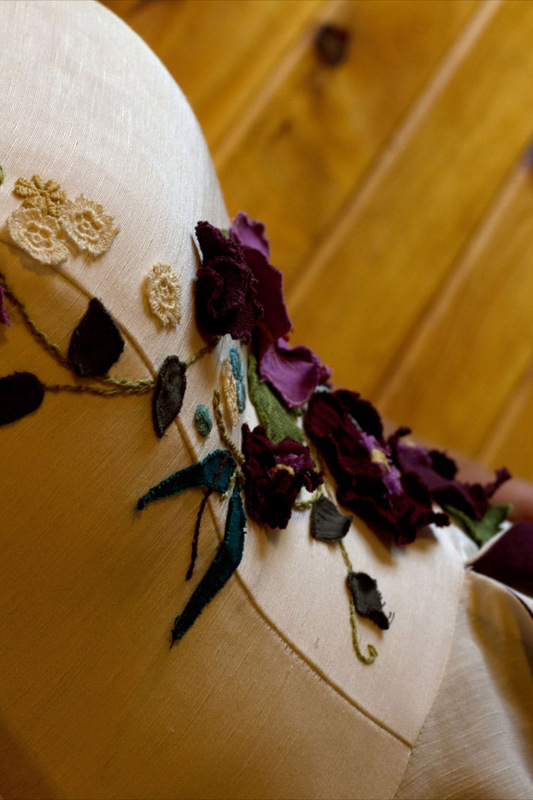 Applique and embroidered poppies on a hemp silk wedding dress by Tara Lynn. 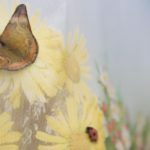 For brides that love the outdoors Tara Lynn embroiders your favorite butterflies, fairies, trees and flowers on ethically made and sustainable wedding dresses. 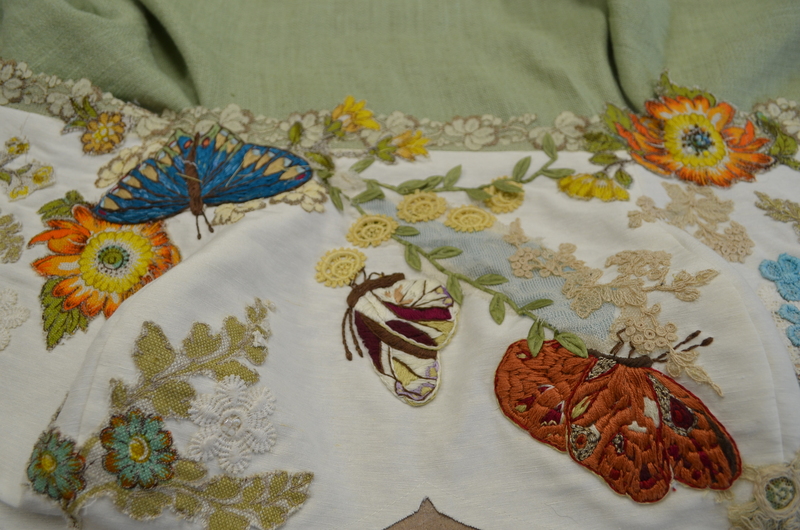 Hand embroidered butterflies on a hemp silk wedding dress by Tara Lynn. 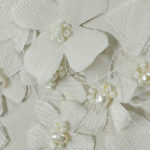 Tara Lynn started making custom hemp wedding dresses in 1999 while working at a hemp store in NYC. 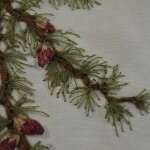 Tamarack Tree embroidered wedding dress by Tara Lynn. 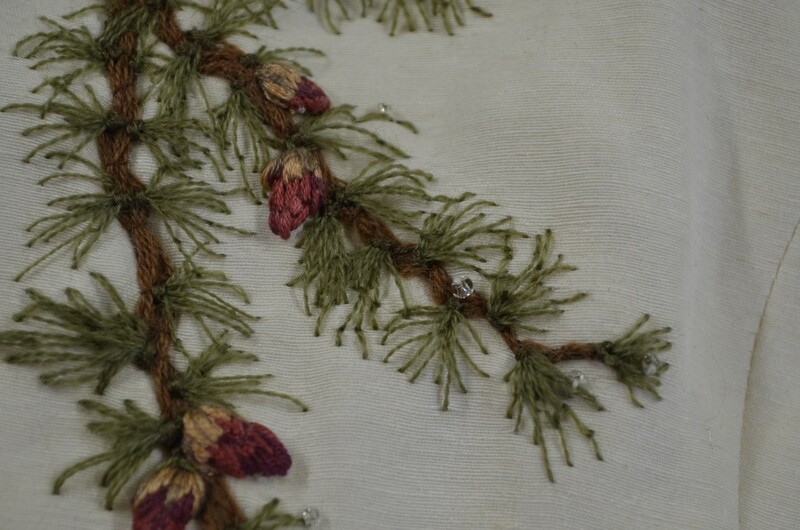 A graduate of the Fashion Institute of Technology, Tara Lynn, focused her studies on eco-fashion and wearable art. 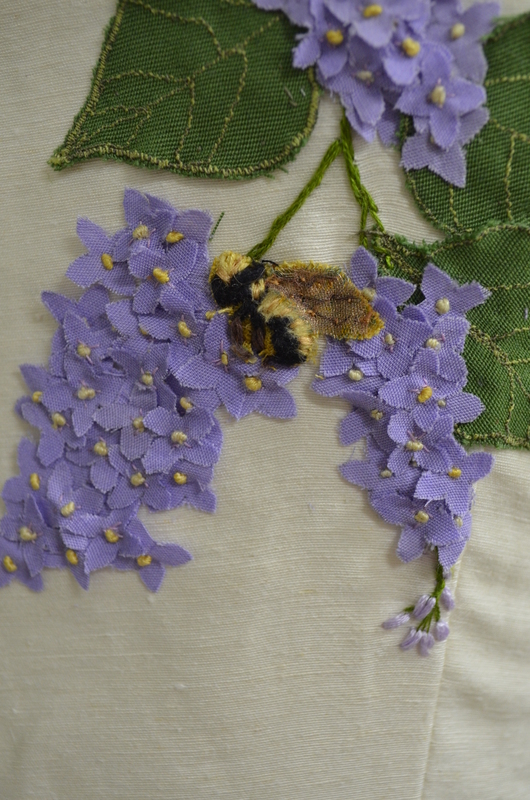 Embroidered bumble bee and applique lilacs on a hemp silk wedding dress by Tara Lynn. 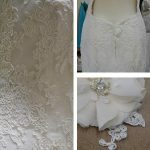 Tara Lynn combines the art of embroidery, macrame, lace and dress making to make wearable art and custom hemp wedding dresses. 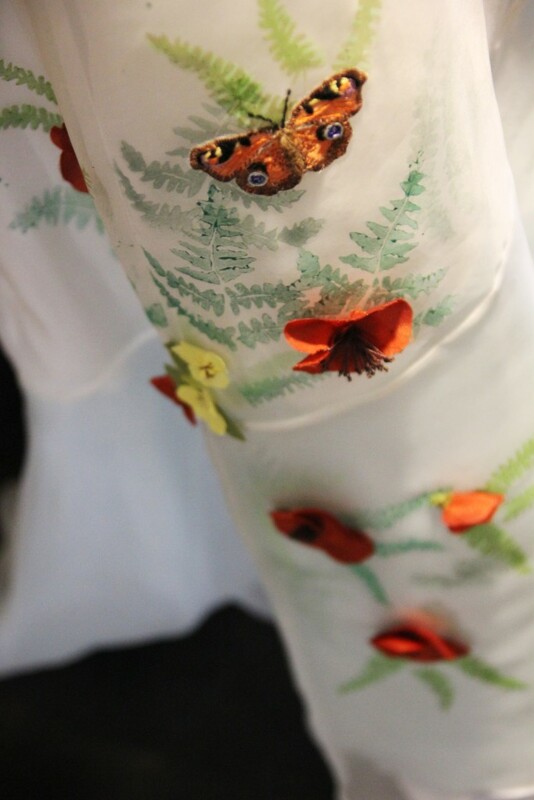 Ferns printed and layered on a silk wedding dress with embroidered peacock butterfly by Tara Lynn.